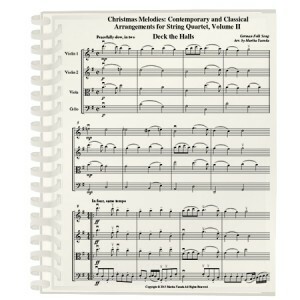 I am extremely pleased to offer my first two volumes for string quartet, entitled Christmas Melodies Contemporary and Classical Arrangements for String Quartet. 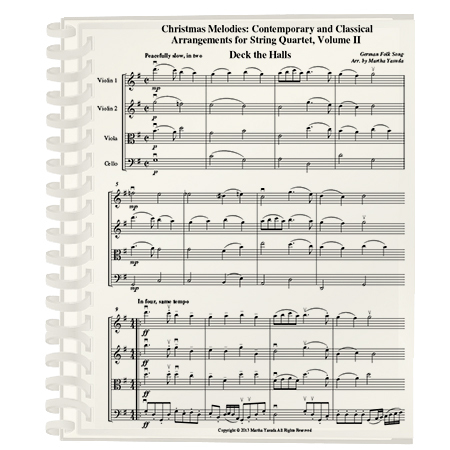 Both volumes are written at an intermediate level and are similar in style and concept to the Christmas Melodies Contemporary and Classical Arrangements for Four Violins. The contrast in styles between the two verses is quite distinctive and unforgettable, allowing your string quartet to rise to the level of “rock star” status! Great for amateur or professional holiday engagements — seriously!